If you’ve had the pleasure of reading one of Haruki Murakami’s novels, you’re likely aware of his deep love of music. In the sometimes unsettling and always intriguing worlds the author creates, his characters are well-versed in musical knowledge and appreciation, dropping little factoids for the reader’s enjoyment while eloquently describing their favorite songs better than most music journalists. Sound fragments from the surrounding world or from some far-off memory are inseparable from the thought processes of his characters, to the point where those thoughts start to echo the syncopated rhythms of the album he’s no doubt listening to while he writes. 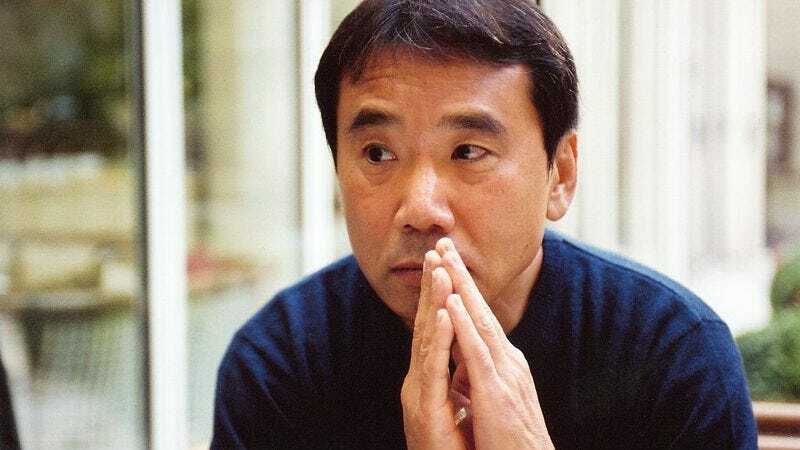 That album, whether it be jazz, rock, folk, or classical, would likely be pulled from Murakami’s collection of 10,000 records that line the wall of his office and lend him inspiration while he works. Thanks to the knowledge curators at Open Culture, you can experience a portion of that collection for yourself with this massive 3,350 track Spotify playlist. Given that he owned a jazz club with his wife before deciding to become a novelist at age 30, it’s no surprise that the playlist leans heavily into jazz. But sprinkled in between the Sonny Rollins, Sidney Bechet, and Kenny Burrell, there’s a little bit of Mozart, Bach, and Tchaikovsky, giving you a glimpse into the sprawling, enigmatic world between Murakami’s ears. The playlist may not help you write your next novel, but it certainly provides a nice soundtrack when you’re reading one of his.